Reiki is a therapeutic process by which energy healing is applied through a practitioner’s hands and breath work. Wikipedia describes Reiki as “pronounced ˈrākē/ noun, a healing technique based on the principle that the therapist can channel energy into the patient by means of touch, to activate the natural healing processes of the patient’s body and restore physical and emotional well-being”. Our goal at Kheops, Intl. is to provide customers with metaphysical gifts that bring meaning, such as our Zen Meditation Chimes, used commonly by Reiki practitioners. Kheops offers a variety of products designed to fit in your metaphysical toolbox and help you lead a more meaningful journey. Reiki is said to have multiple benefits and is applied for different needs, especially for clearing and tuning the chakras. One person may have a Reiki session to find relaxation from stress. A cancer patient might receive Reiki as a way to receive healing from the source. Some believe this energy comes from a higher power while others feel it comes from within. 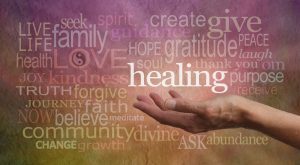 Despite these differences, many have experienced healing and the positive effects of Reiki. Kim Anderberg, for Kheops, Intl. I like how you mentioned that Reiki helps to reduce stress. I’ve been crazy busy at work, and trying to keep up with that as well as cleaning and time with the family, I’ve just been a big ball of stress. Relaxing would be helpful, and reducing my stress would probably be the healthy course of action. Maybe I could have Reiki done to help me relieve some of that stress. There are many wonderful benefits of Reiki. Reiki is a very simple process, but usually produces quite profound effects. A great feature of Reiki is that it’s for everyone, adults, babies, elderly, toddlers, children and even pets!